Last year, ProPublica published the results of a study conducted by the Journal of Patient Safety that dramatically changed the nation’s view on medical errors. According to the research, medical errors are now the third leading cause of death in the United States. Only heart disease and cancer claim more lives every year. That is something that Oregon residents should take note of. The study found that as many as 440,000 people die annually from various acts of medical malpractice that range from surgical instruments being left inside patients’ bodies to missed diagnoses and more. Also common are errors involving prescription medications. Earlier this year, U.S. Senator Barbara Boxer made a presentation at a Patient Safety, Science and Technology Summit in which adverse drug effects were listed as the most prevalent form of medical error today. Medication errors are of particular concern in part because of the great number of ways that they can occur. They can be introduced at many points along the healthcare delivery system. Any person involved in the prescribing or dispensing of medications to patients could potentially be the source of a problem. According to an article in Forbes, an estimated one million medication errors occur in U.S. hospitals each year resulting in 7,000 wrongful deaths. Computerized Physician Order Entry, referred to as CPOE, has been shown to reduce the rate of these errors by as much as 85 percent. Sadly, the hospital adoption rate for CPOE has been less than ideal. Even with federal government incentives in place since 2009, too many hospitals still rely on manual, handwritten prescriptions. Diederich Healthcare’s 2012 statistics show that between $40 and $60 million was paid out in Oregon for medical malpractice payouts that year. In neighboring Washington state, between $60 and $80 million was paid out in settlements. 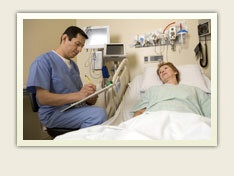 Identifying when a medical error has taken place can sometimes be difficult. Talking to an attorney who has experience in malpractice cases is always recommended as a way to clearly determine when a case should be pursued. Patients and their families deserve the right help to achieve compensation when serious medical negligence has occurred.